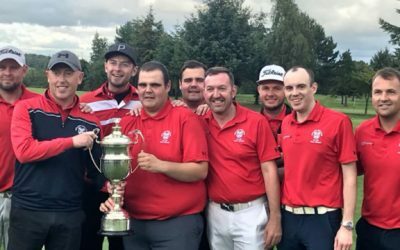 Stirling Golf Club Gents League Team won the Stirlingshire Golf Union League on Sunday defeating the tournament favourites Glenbervie in a thrilling tense final at Bonnybridge Golf Club. Tam Pheely won the John Begg Trophy with a three stroke victory with an excellent eight under par net 64. After an outward nine of 40 Tam returned in two over par 38 with a great birdie at Cotton’s Fancy. 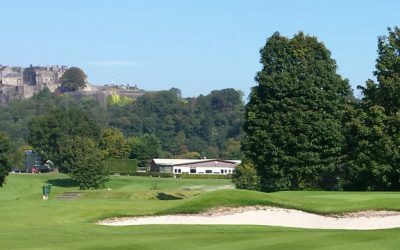 John McLachlan - Kilmarnock (Barassie) GC held off Robert Hogg - Linlithgow GC, Vic Allan - Dollar GC and Barclay Wilkinson - Mortonhall GC on the better inward half, all players returned net 71 to win the Swan Cup. Former Curtis Cup player and Honorary Stirling Golf Club member Alison Davidson recently represented the Scottish Veterans team at the annual Veterans Jamboree at Hexham Golf Club in Northumberland. 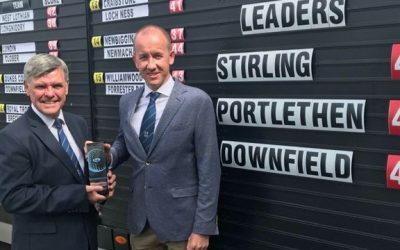 Stirling Golf Club Captain William McQuillan is planning a Spanish scouting mission after reaching the SkyCaddie PGA Pro-Captain Challenge final. 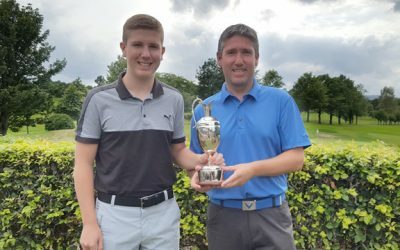 Andy Malcolm who had a hole in one on the 16th Dunblane New Golf Course & Campbell Leggat who had a hole in one at the 5th hole at Dunfermline Golf Club. Well done both!